The Workman Utility harness comes in a size medium with bayonet leg straps. The MSA Workman Utility is part of MSA’s full-body harness, fall arrest line of equipment. With the same features of the Workman Premier harness, the Workman Utility also incorporates a waist belt and pad and hip positioning D-Rings. These features ensure this piece of fall protection is perfect for Utility work. 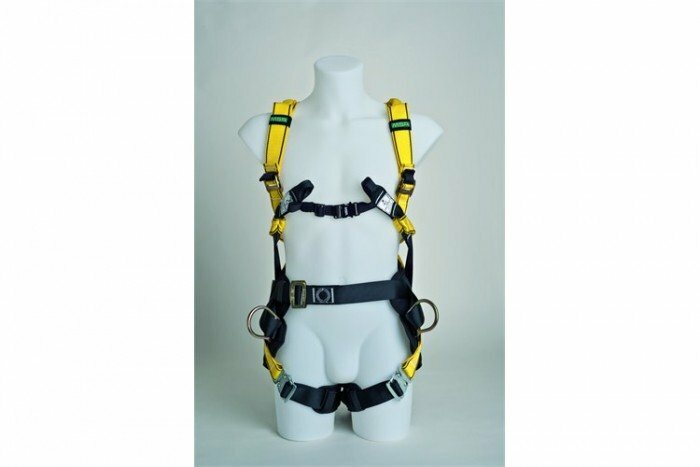 Features of the Workman Utility include additional attachment point at the front of the harness, with extra adjusters on the torso for greater adjustment. An MSA Spreader bar can also be used with the shoulder loops on the full-body harness. This product is certified to EN 358, EN 361 and also EN 1497.